Prior to taking any of these courses, learner must confirm which training is required by their employer and that their employer accepts this training as part of an approved training plan. Upon completion of each individual module, students will be able to access and print a certificate of completion. The 5000-23 Training form is available for download (http://www.oshacampus.com/msha-training-online/) by clicking the MSHA 5000-23 Certificate of Training Form. Generally, the person signing the form is the Mine Operator or a person acting on behalf of the operator. For example, a company safety official, a trainer employed or contracted by the operator, or a cooperative instructor (such as, a state grantee). 360training.com does NOT sign the 5000-23 form." Do you need to take MSHA Part 46? New or newly hired miners and contractors are required to undergo safety training programs in compliance with MSHA Part 46 regulations. 360training.com offers online MSHA training classes that are designed to meet your regulatory training requirements! A certificate of completion may be printed upon completing each module. This MSHA-compliant document from 360training.com is comparable to MSHA's 5000-23 form. 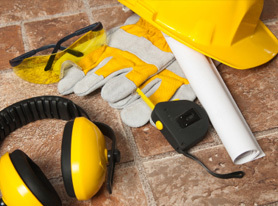 Reach out to local regulatory authorities for complete MSHA safety training guidelines. Auto-bookmarking - Never lose your work! Excellent training. Work at MSHA non-metal mine. Female. Recommend site for miners. 360 training allows you the time you need to listen and reread materials to make sure you understand and comprehend what you just listened too.